Technical Car Experts Answers everything you need: Kenmore Elite side by side refrigerator ice maker stop making ice? Kenmore Elite side by side refrigerator ice maker stop making ice? 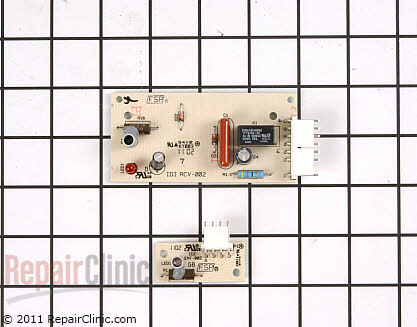 The receiver board controls needs to be replaced.Key 38 in the image below shows this receiver board. The part number for this board is 4389102. You can order this part from Sears PartsDirect ( www.searspartsdirect.com ). Labels: Kenmore Elite side by side refrigerator ice maker stop making ice?